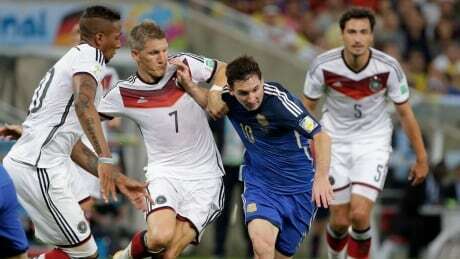 CBC FIFA World Cup coverage from Brazil set new records for television and online viewing, it was announced Monday. 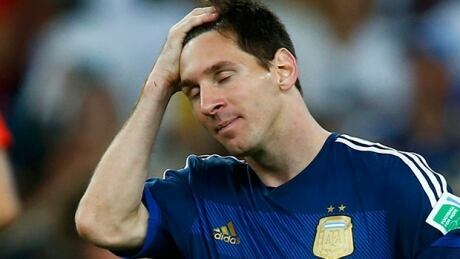 Not even Diego Maradona, an ardent Argentina supporter and the country's greatest player in history, supports giving the Golden Ball award to Messi. Who won World Cup of stupid? In one of the closest, most competitive tournaments in history, there were many contenders for the World Cup of Stupid. 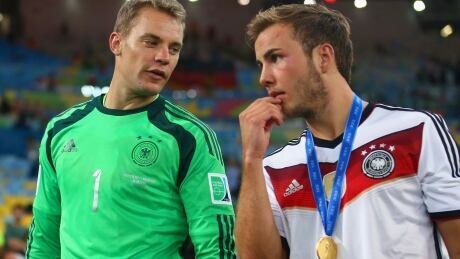 Posted in Sports/Soccer/FIFA World Cup 2014 | Comments Off on Who won World Cup of stupid? 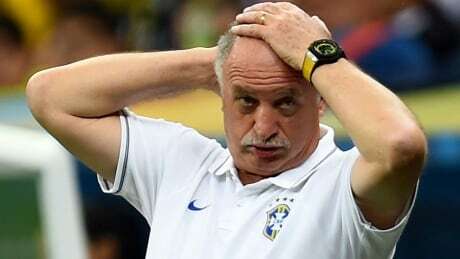 Luiz Felipe Scolari has resigned as Brazil's head coach after the team's failure to win the World Cup, the Brazilian Football Confederation said Monday. 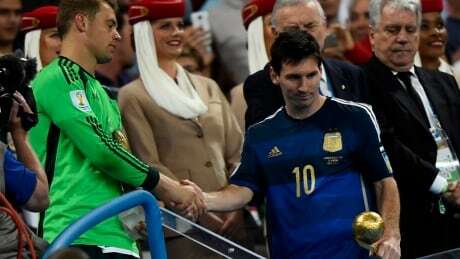 After a heartbreaking 1-0 defeat to Germany in the World Cup final, Argentina star Lionel Messi leaves with a heavy heart in the knowledge his professional career resume may forever remain incomplete, writes CBC soccer analyst Nigel Reed. This is one of the all time great World Cup triumphs. Germany is the first European side to triumph in South America, and they have done it the hard way, writes Tim Vickery. Mario Götze's winning goal for Germany in the World Cup final was the 171st scored in Brazil, equaling the tournament record. Despite having his team eliminated in the quarter-finals, Colombia's James Rodriguez still wins the Golden Boot as the top scorer at the FIFA World Cup in Brazil. 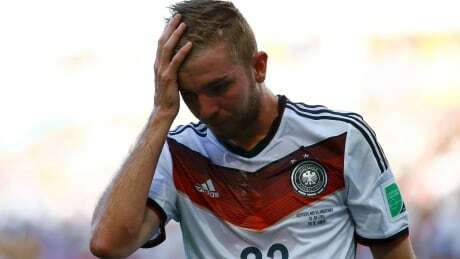 Germany midfielder Christoph Kramer's head injury in the World Cup final has revived concern about the way football deals with concussion. You are currently browsing the archives for the Sports/Soccer/FIFA World Cup 2014 category.